Comments: With the successful ascent of Kings Peak the previous day, our hiking goals for this trip had all been reached. Today was reserved as a day for wrapping up and just enjoying the facilities at Snowbird where we had been staying the last several days. Thus, we took a family hike to explore the local tops. In fact, this was useful since I had recorded an ascent of Mount Baldy already when I was here in 1994. However, my memory was wrong. 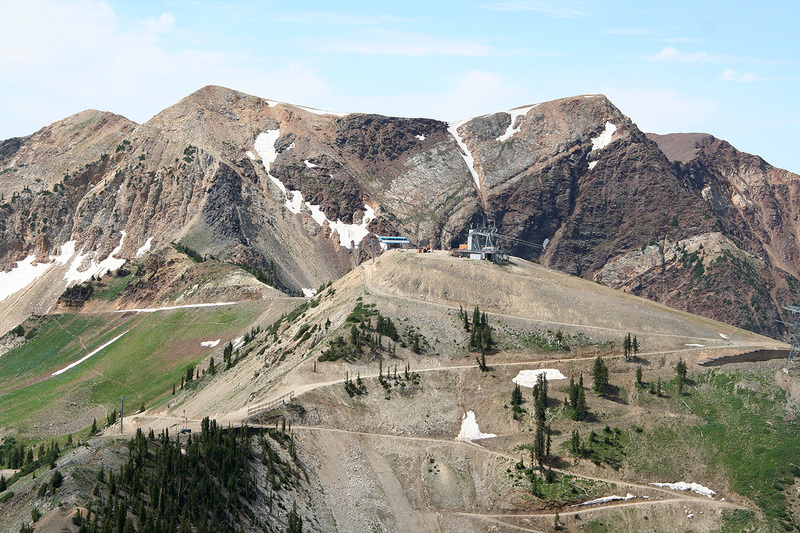 The tram from the Snowbird Village runs to a minor top called Hidden Peak, elevation 3353 meter and not to Mount Baldy as I had assumed. It was therefore in full order that Heidi, Pål Jørgen and I hiked the nice trail to Mount Baldy this sunny day. Once there, we noticed the nearby top called Sugarloaf, it looked equally high. We therefore descended to the connecting saddle in order to pay a visit also to Sugarloaf. 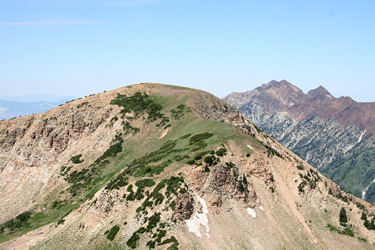 We returned back to Hidden Peak from the saddle via a service road that first descended a bit into the Mineral King Basin, then climbed the slope back up to Hidden Peak. A very successful trip had come to its end. Our flight back to Norway departing the next day. Many thanks to Pål Jørgen for being such a good company, even on somewhat "boring" peaks that were "just walks". Hopefully, there will be trips also in the future to somewhat more challenging peaks. 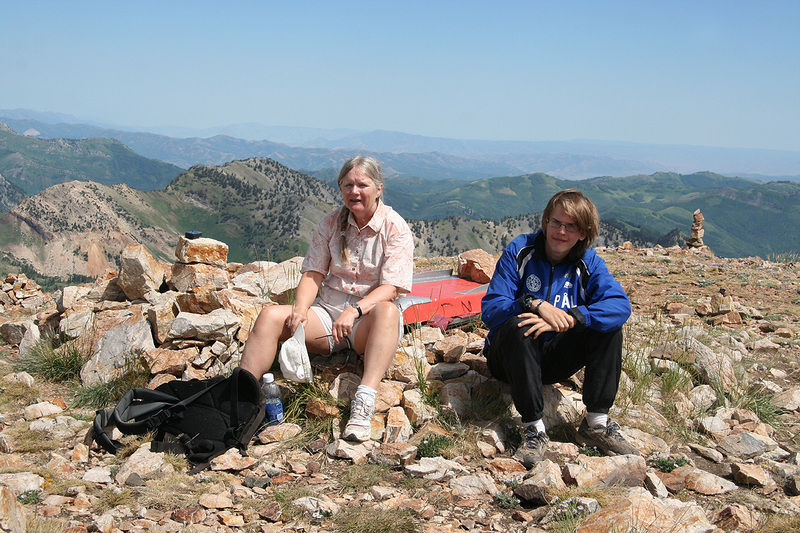 Heidi and Pål Jørgen on the top of Mount Baldy. Twin Peaks, as seen from Mount Baldy. 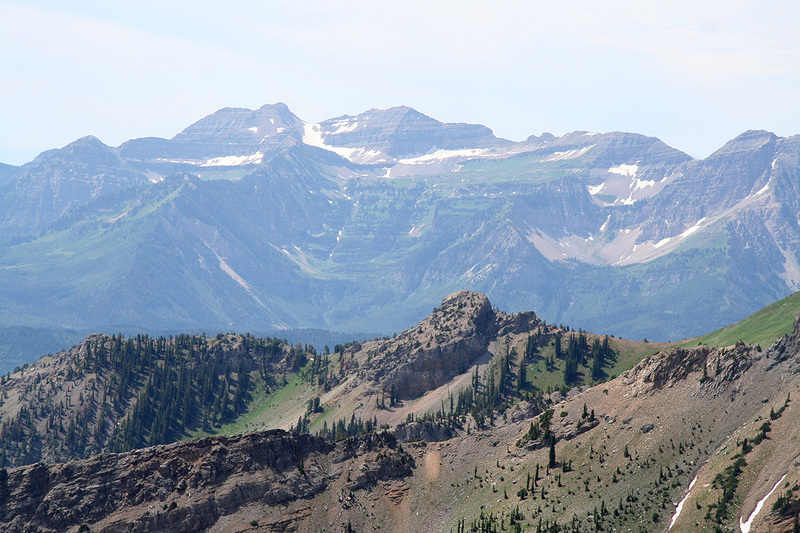 Mount Timpanogos, as seen from Mount Baldy in Snowbird. 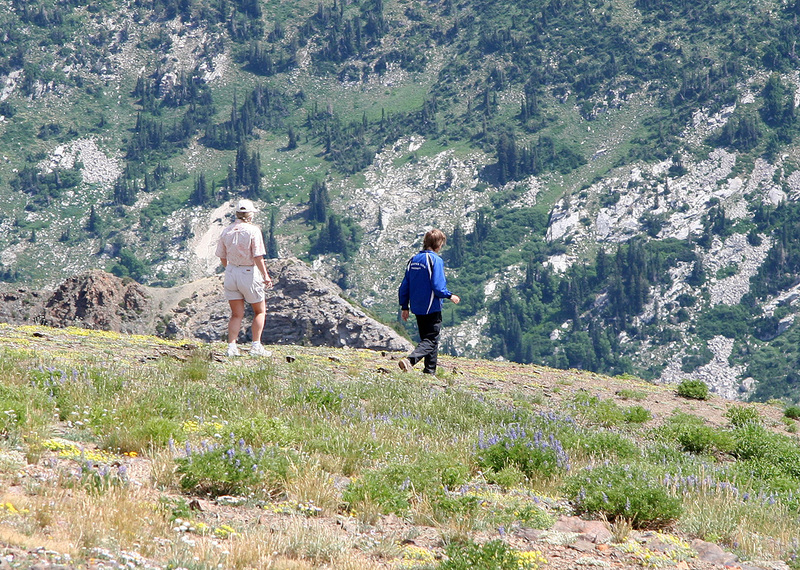 Descending from Mount Baldy on the route to Sugarloaf.